Before you call up a web developer, create that Facebook page or tweet on Twitter, let’s talk about how you will represent yourself online. 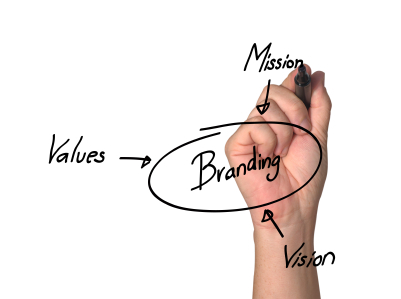 We’re hoping you’ve already developed a logo and mission statement for your company. If you have, then this conversation should be simple. What kind of information and tone best suits your business? Are you very professional or whimsical? Do you have a lot to say about your company or have lots of pictures to share? Your company’s personality should be consistent in all your communication with consumers. This includes all of your online efforts as well. Be sure to use the same logo, fonts, colors and language online and offline. Every interaction with your audience is a chance to reinforce your brand and encourage their loyalty to you. Your website should be the main focus of your online efforts. If you’re thinking of social media, a blog or newsletter, use your corporate site to tie all of the pieces together. Each social site serves a particular purpose and caters to a particular user demographic. Blogs are also another way to connect with your audience. Online newsletters help you capture a database of leads from your website and can be produced daily, monthly or quarterly – whatever fits your schedule. If you know who your target audience is, then you shouldn’t have a problem selecting a secondary channel for your online communications. Be aware that incorporating any of these efforts into your online marketing plan can be very demanding. Unfortunately, most small companies don’t have enough staff to maintain these additional channels. If that’s the case, focus on making your corporate website the best it can be. As long as you exist, people will talk. It doesn’t matter whether you’re online or not. Many businesses overlook the value of social influence, which is basically what people are saying about you and how it’s influencing others. If you can find trustworthy associates to vouch for your product or services online, it ripples across the Internet. Those who haven’t experienced your brand could stream in based on what their trusted resources are telling them. It’s very important to monitor this incoming traffic to see what is or isn’t working. Now that you know a little more about social influence, let’s talk about negative comments. Before creating your online presence, have a plan on how you’ll deal with not-so-nice messages. This will especially help whoever is managing your online communications to stay consistent with your brand. While the occasional disgruntled user may seem like a wrinkle in your rep, it could also be seen as an opportunity to find out how to make improvements to your services. Of course, if the individual is just flat out vulgar with his/her choice of words or doesn’t seem like the reasonable type, simply disregarding the message all together may be the best solution. These are only a few of the many tips to help you maintain your brand’s personality online. If you’d like to know more, fill out our contact form or give us a call at (915) 351-8440.